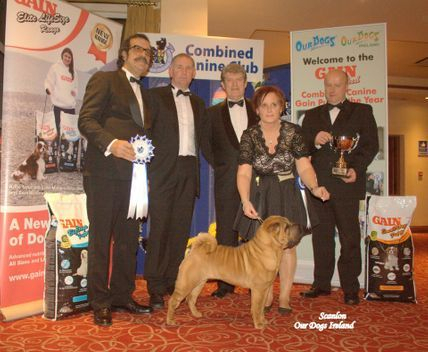 Zee becomes the 1st Shar-Pei in history to be awarded a Best In Show All Breeds In Ireland. 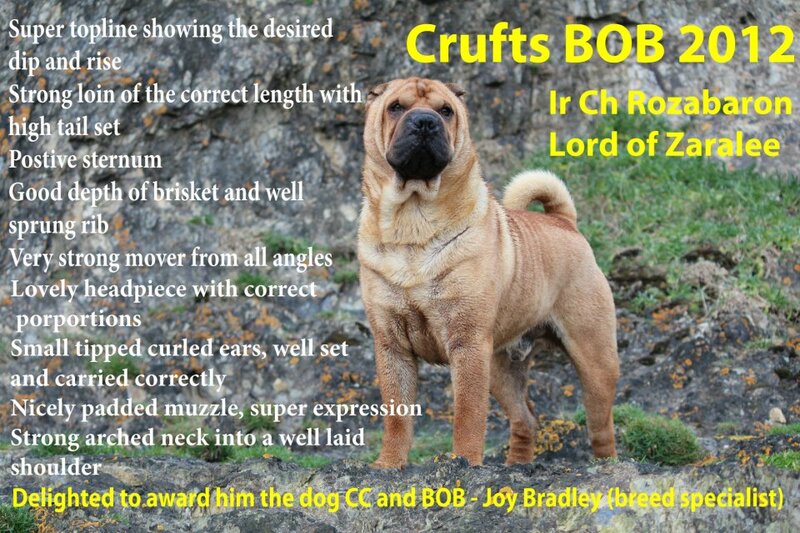 Zee and Roxy become the 1st Shar-Pei littermates to win BIS and BIS3!! Roxy finished 5th overall and Zee 8th overall. 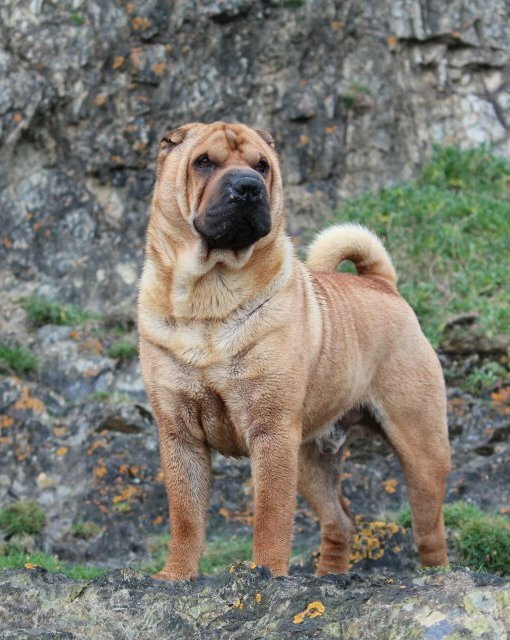 Welcome to the website of Zaralee Shar pei. My name is Tracy and we are a small hobby show kennel based in the sunny south east of Ireland in Co. Wexford. I have loved shar pei since I was 16 years old and I saw the ad on TV for anti wrinkle cream with a gorgeous wrinkly puppy. Shar pei are one of the most unique breeds in the world and have come from near extinction (Guinness Book of Records 1969 - rarest breed in the world) to being one of the most recognised breeds in the world. 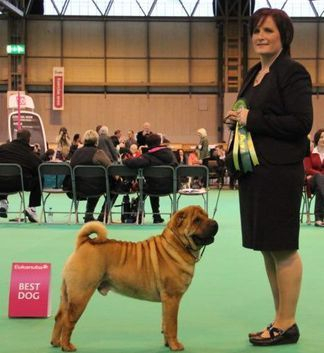 My association with shar pei began long before I ever had the privilege to own one and they will be with me for many years to come, they are an addictive breed with wonderful character and temperament. My aim in life with shar pei is simple, Happy, Healthy, Well Bred and Well Tempered Shar pei . I don't breed very often so any litters planned are done with great consideration and first and foremost health is our main concern. We have had a lot of heartache with this breed in the last 3 years but we have now imported some fabulous new healthy lines with exceptional temperaments, something which is also very important to us. Please visit our dog pages to see our current show team. In our 8 years of showing we have amassed over 150 x Green Stars, 20 x CACIB's, 2 x CC's 3 x RCC's Multi Group Wins & Group Placings, Stakes wins and Stakes placings all at Champ show level and a RBIS at Group Champ Show level. We at Zaralee are very proud of all our dogs and their achievements. 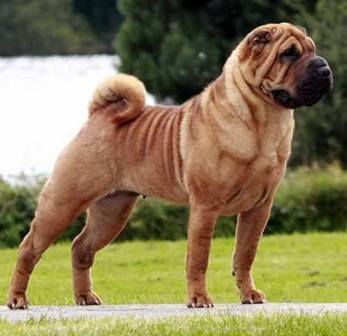 I love Shar Pei, and my aim is for health, type and temperament in the breed. I have always been animal mad but mostly admired dogs. My showing days only started in 2008, and yes, I am now well and truly hooked! I love it! I have made some great friends as a result of showing and it makes it all the more fun.